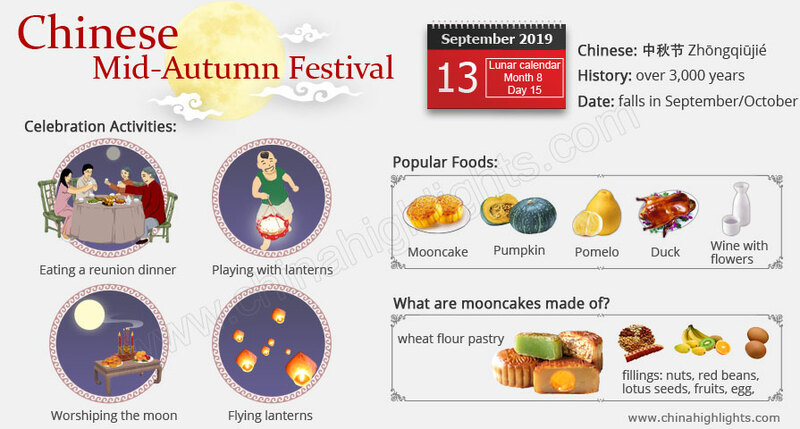 Mid-Autumn Festival (Moon Festival) is a harvest festival, celebrated in China and other East Asian countries, such as Vietnam and Singapore. It’s always in September or October, on month 8 day 15 of the Chinese lunar calendar. In 2019, it&apos;s September 13th (Monday). China&apos;s public holiday is September 13 to 15. 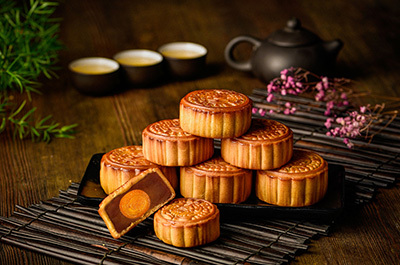 Also called the Moon Festival or Mooncake Festival, it is celebrated when the moon is believed to be the biggest and fullest, and mooncake is the main most characteristic festival food. 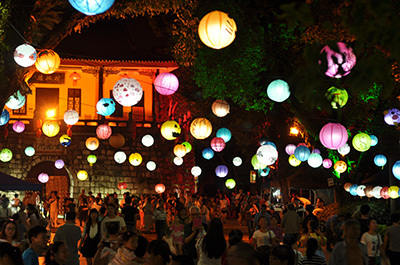 Mid-Autumn Festival is the second most important festival in China after Chinese New Year. To the Chinese, the festival means family reunion and harmony. It is celebrated when the moon is full, and Chinese people believe a full moon is a symbol of reunion, harmony, and happiness. 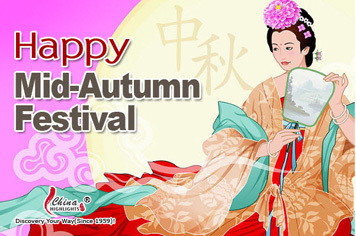 Greetings: The simplest is "Happy Mid-Autumn Festival" (中秋快乐 &apos;Mid-Autumn happy&apos;). 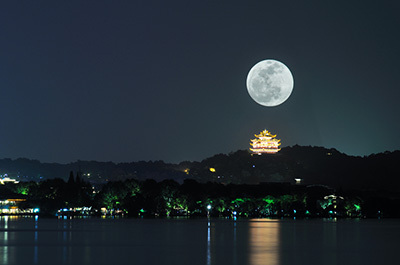 Read more on 10 Interesting Mid-Autumn Facts. Particularly on the evening of Mid-Autumn Festival, Chinese people get together with their family. They eat dinner together with their extended family (usually three generations) at the grandparents’ home. Food for the dinner includes duck, taro, and other regional festival foods, which may take most of the afternoon to prepare. After dinner, the family traditionally offer sacrifices to the moon, in the belief that the moon will bring them good luck. The offerings may include mooncakes and symbolic fruits. If the weather is favorable, they then appreciate the bright moon while eating mooncake. During a bright moon night, many families choose to go outside to a park to gaze at the moon. Other celebration activities include lantern shows and guessing lantern riddles. 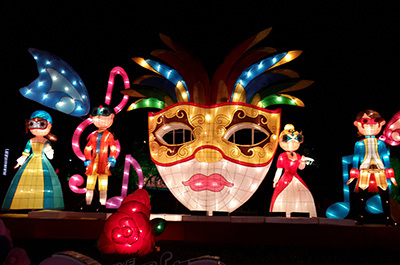 There are grand lantern shows in Hong Kong and Zigong (Sichuan Province, central China). Guilin has also had lantern shows in recent years. Some regions like Hong Kong hold dragon and lion dances, which draw many participants and spectators. The special Mid-Autumn customs of China&apos;s ethnic minorities are also very interesting. For specific Mid-Autumn golden locations see The 7 Best Places to Celebrate the Mid-Autumn Festival in China. Mooncakes are the must-eat Mid-Autumn food in China. They are a traditional Chinese pastry. Chinese people see in the roundness of mooncakes a symbol of reunion and happiness. Other foods eaten during the festival are harvest foods, such as crabs, pumpkins, pomeloes, and grapes. People enjoy them at their freshest, most nutritious, and auspicious meanings are particularly associated with round foods. Festival food traditions are also changing. The younger generation have their own ideas about what should be eaten. Most of them don&apos;t like mooncakes, and prefer to eat what they like. Read more on The Top 10 Mooncake Flavors Westerners Might Like. Why Is the Moon Festival Celebrated? In the past, the Moon Festival was celebrated at harvest time. Ancient Chinese emperors worshiped the moon in autumn to thank it for the harvest. The ordinary people took Mid-Autumn Festival as a celebration of their hard work and harvest. Today, people mainly celebrate the moon festival as a time for family reunions. When Did the Moon Festival Become a Festival? Mid-Autumn was first celebrated as a national festival during the Northern Song Dynasty (960–1127). However, the festival has a history of over 3,000 years. It was derived from the custom of moon worship during the Shang Dynasty (c.1600–1046 BC). People have long believed that worshiping the moon and eating together around a round table would bring them good luck and happiness. Does the Moon Look Biggest at Mid-Autumn Festival? In many of China&apos;s neighboring nations Mid-Autumn is widely celebrated. Many interesting activities with unique local features are held. 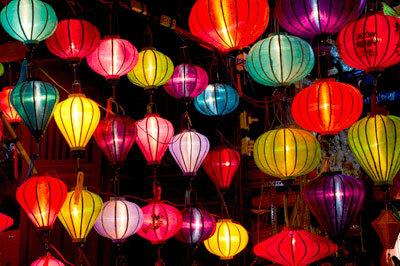 In Singapore, Malaysia, and the Philippines, countries with many ethnic Chinese citizens, celebrations are more Chinese, such as lighting lanterns and dragon dances. In other countries, such as Japan, South Korea, and Vietnam, which have also been influenced deeply by Chinese culture, new celebrations have been derived from their unique cultures. Mid-Autumn Festival is a national holiday for the Chinese. Chinese people increasingly love travelling whenever holidays permit. The festival has long been a statutory day of public holiday in mainland China. The holiday is always combined with two adjacent days (if these are not weekend days then the closest weekend days are worked to compensate). In 2019, Mid-Autumn falls conveniently on Friday september 13, so the weekend before makes up the 3-day holiday. Chinese people increasingly love to travel during their holidays, so expect crowds at China’s tourist attractions if you travel in this period. 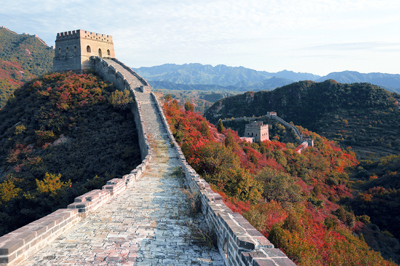 Book in advance and let somebody in the know like China Highlights help you to arrange your trip to avoid the crowds.